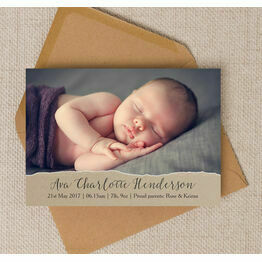 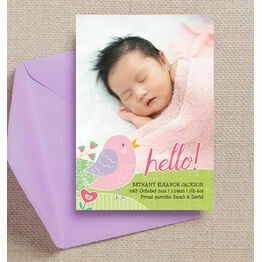 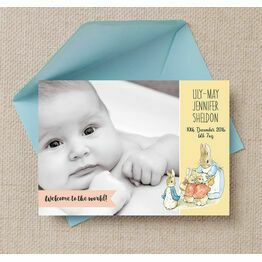 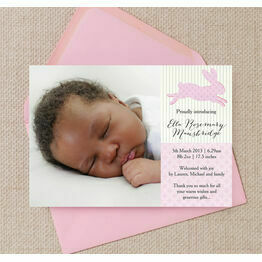 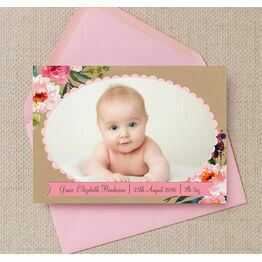 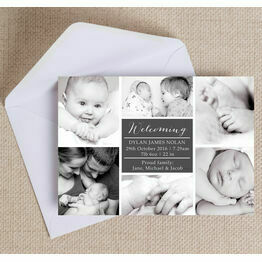 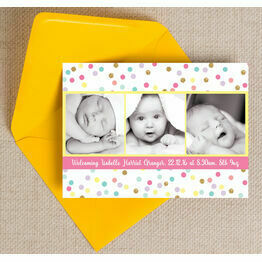 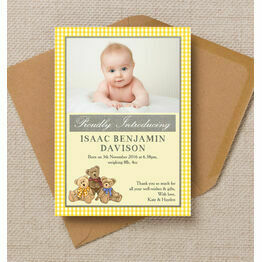 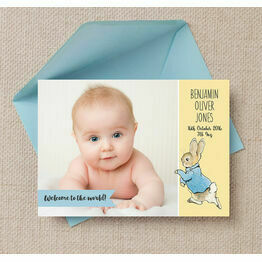 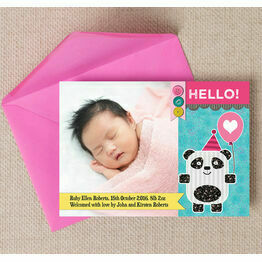 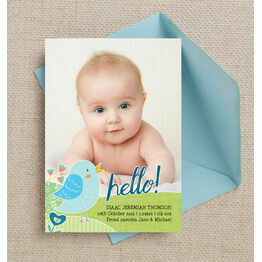 Our photo birth announcement cards offer the perfect way to introduce your new baby to friends and family. 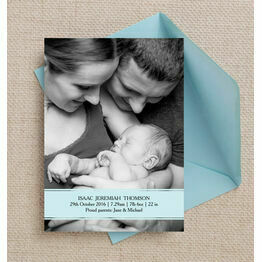 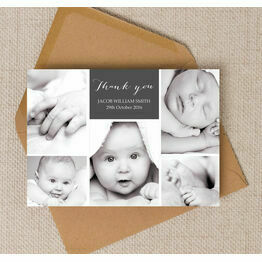 Each card has a space for you to upload a photo of your new baby boy or girl, with your own personalised wording. 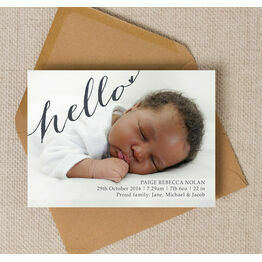 All of our baby announcement cards can be printed at home with the Printable PDF option, or we can print them - just select Printed & Delivered.